The large, naturally lit kitchen is the heart of the house. 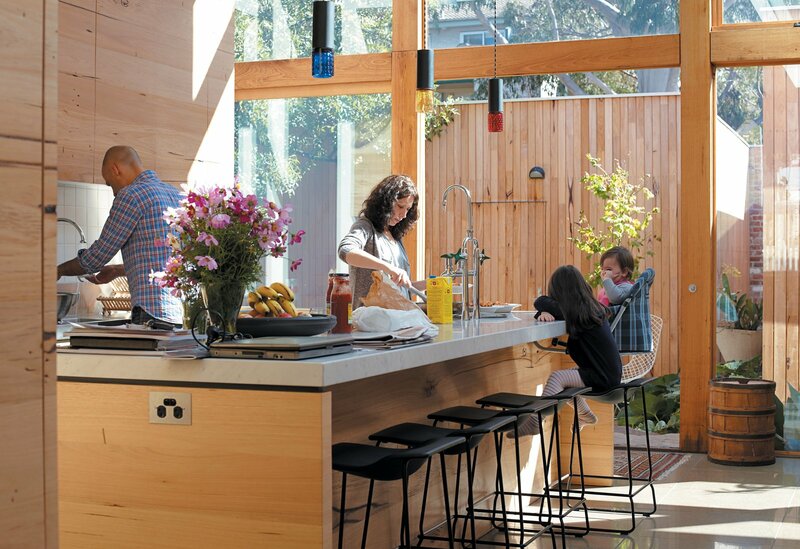 Messmate-clad cupboards and huge expanses of glass dominate the space where Angelucci uses the sink, Gorman works at the kitchen island, and Pepa and Hazel look on. Play in the courtyard between the kitchen and garage is easily supervised and enclosed from the alley behind the house.